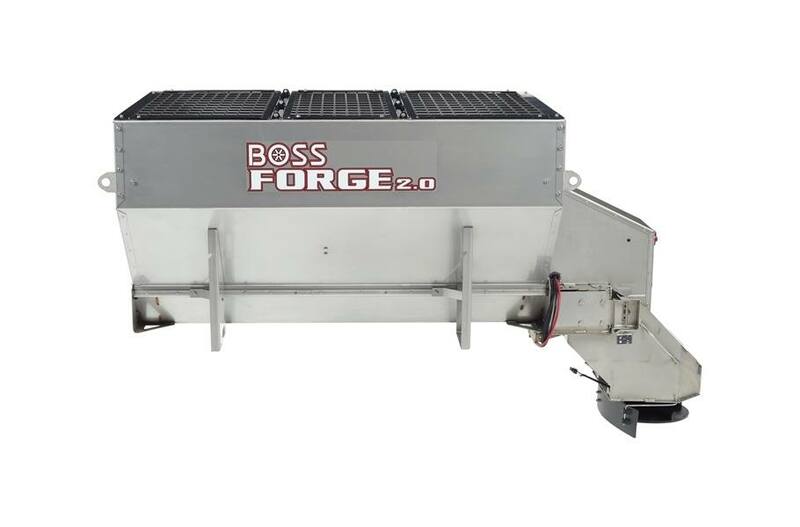 2019 BOSS FORGE 1.5 Auger Spreader for sale in Upper Marlboro, MD. Kohler Equipment is an independently owned company and is not affiliated with Kohler Co. of Kohler Wisconsin. The BOSS FORGE® lineup is expanding across all fronts. 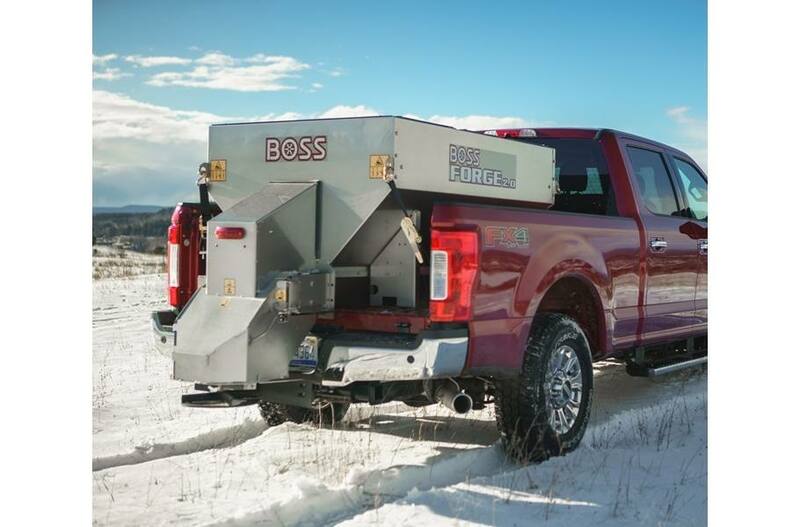 BOSS now brings the power of stainless steel ice control to even more vehicles with the addition of the FORGE® 1.0 and 1.5 to the FORGE® family. 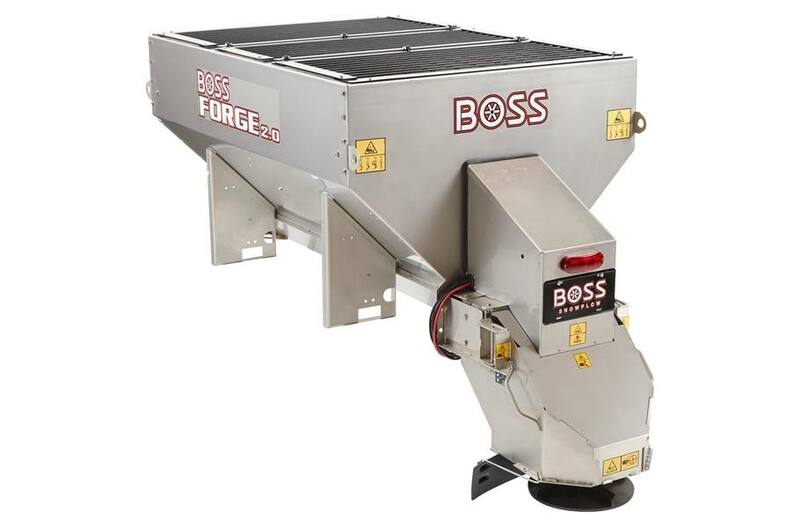 The FORGE® stainless steel hopper is constructed with a combination of bolting, riveting and welding for optimal durability and serviceability throughout the spreader's lifetime—allowing you to maintain and replace individual parts rather than the entire unit. 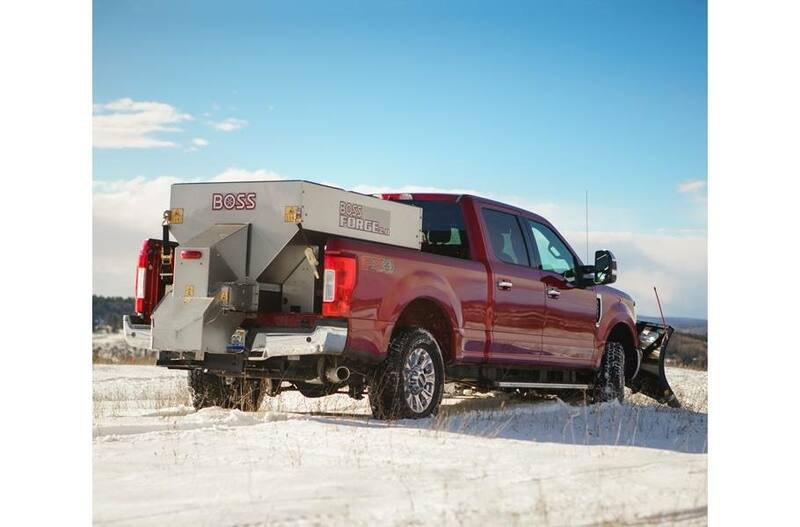 Both the hopper and the drive train are constructed with stainless steel, enhancing the sturdiness and durability of FORGE® in adverse winter conditions. 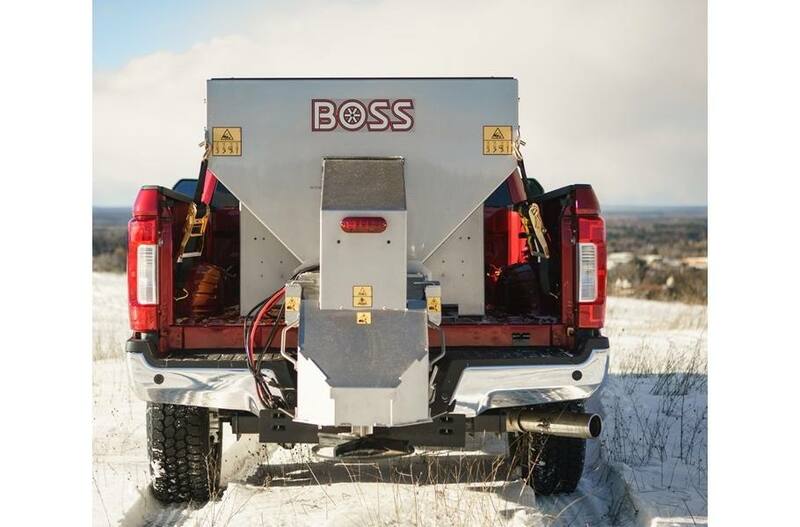 It's another example of tough, reliable innovations from BOSS that are built to BACK YOU UP. Pintle Chain or Auger Feed System features either a heavy-duty pintle chain or mild steel helical auger for long life and reliability. Stainless Steel Hopper is built to outlast the elements and is available in 1.0, 1.5 and 2.0 cubic yard capacity. 14.5" Diameter Urethane Spinner is durable, corrosion-resistant and ensures consistent distribution. Dual Variable Speed Controller fleet compatible with existing VBX spreaders. Pintle Chain or Auger Feed: Allowing you to choose the best system for your needs. Full Length Auger: 6" mild-steel helical auger with 9" of pitch and 2 3/8" diameter shaft for durability and reliability. Stainless Steel Hopper: 14 ga stainless steel hopper built to outlast the elements. Urethane Spinner: 14.5" diameter urethane spinner is sealed for durability and maximum spreading efficiency. Motor Cover: Motor cover protects both the drive and spinner motors from falling sand, salt and de-icing materials. Top Screen: Standard top screen. Pre-Wet Capable: Option for pre-wet capability and upgraded controller.